- LNKD and TWTR's post-earnings tumble down 21% and 23% thru Thurs., respectively. - WTI closed 5/2 at $59.15 up 3.5% and Crude Oil $66.46 up 1.8% from last week. - US Fed Reserve keeps rates low as US economic growth slowed to an annual rate of 0.2%. - Berkshire Hathaway's first-quarter profit up 10% fueled by railroad, utilities, and energy. - Tesla introduces Powerwall, a 10kWh home battery charged through solar panels. 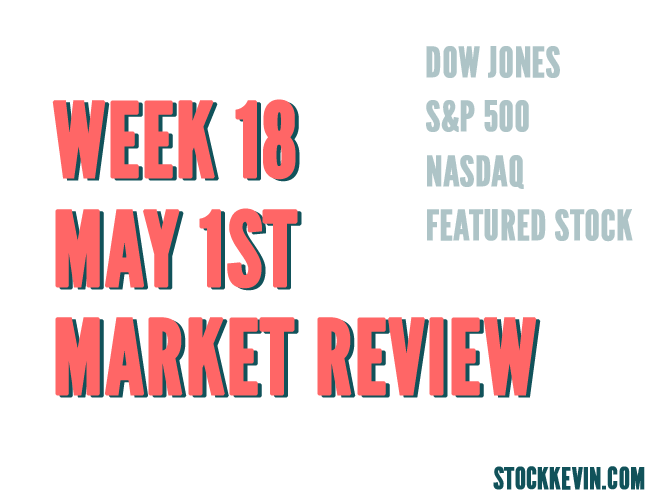 The Dow Jones Industrial Average closed at 18024.06 on Friday, May 1st 2015, which is down 56.08 pts from last Friday, April 24th. 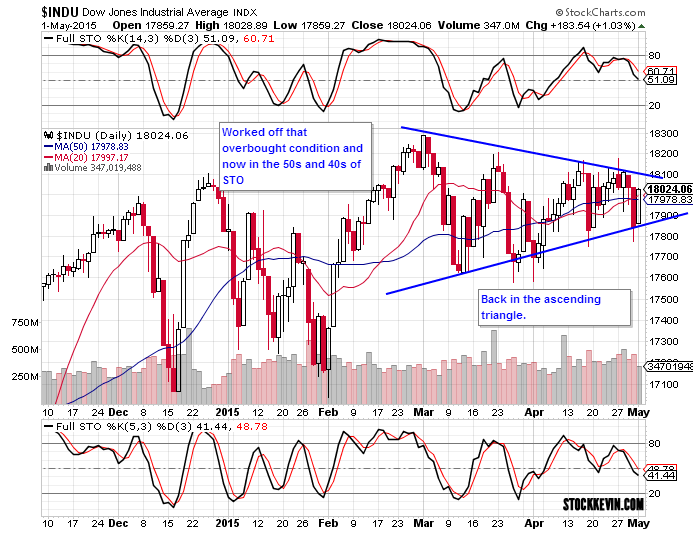 The triangle trading pattern remains in tack, after it tried to break down, the bulls came back Friday. Will this break upward or break down? The stochastic indicators at the bottom of the chart continued to work off that overbought territory. We will need to see it break 18100 and sustain that level to know if the bulls are back. Otherwise closes below 17800 and sustained follow through suggest sell in May is a strategy to follow. The S&P 500 closed at 2108.29 on Friday, May 1st, 2015 down 9.4 pts from the previous week. 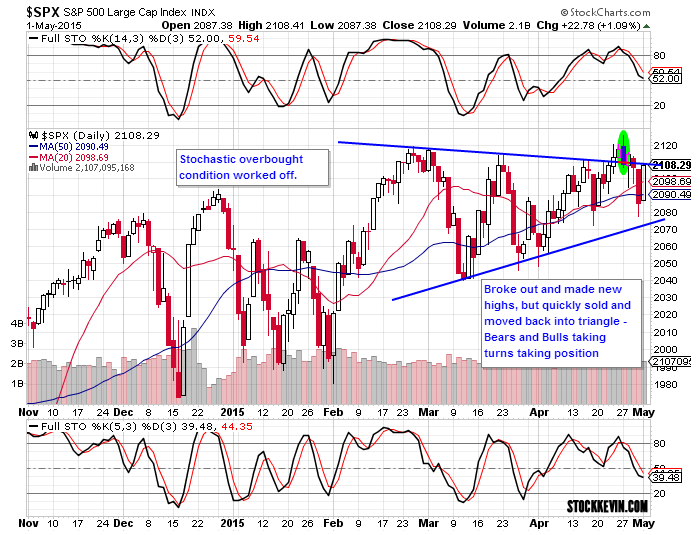 The S&P broke out of its triangle pattern, but failed to see sustained follow through. Instead it was a bull trap. The false breakout was quickly sold and now it's back into the triangle pattern. When this happens, typically you'll see that the bottom range is tested. I wouldn't be surprised if it did as such here before another run at the high or break below to fulfill the sell in May and go away theory. The Nasdaq closed at 5005.39 on Friday, May 1st 2015. This was a decrease of 1.76% from last Friday the 24th. The Nasdaq has broken out to new all-time highs the week before, but has been unable to sustain those high prices. 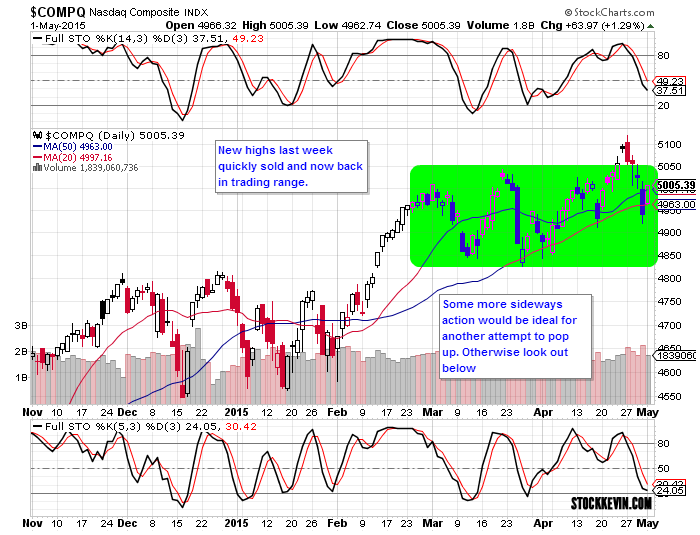 While the 20 DMA is still being held, it has now fallen back into the trading range. We are now in May and without a doubt as we get closer to summer, the volume will drop. Any break below 4825 will cause problems for the bulls. 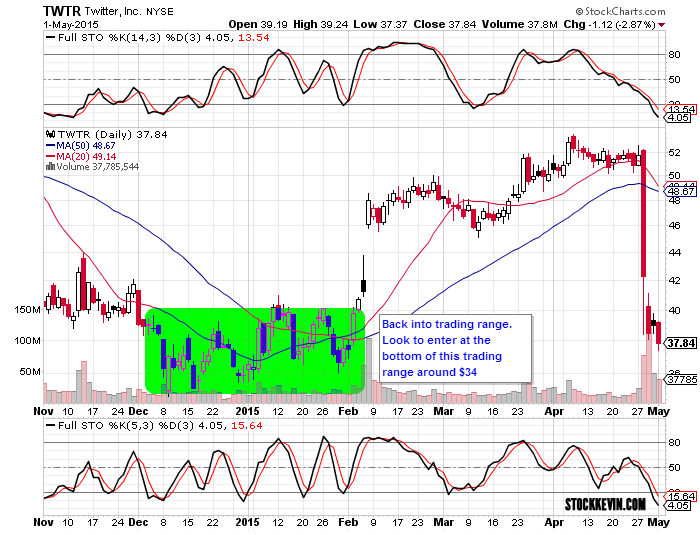 Twitter (TWTR), a social media site focusing on advertising as a revenue source, closed at $37.84 on Friday, May 1st 2015. When it did not meet analysts expectations it tanked and filled the gap up from early February rather easily. Now it is in the same trading range as it was in December. There will be heavy resistance at $40 and expect buyers to come in at $36 to retest the support levels from end of December 2014 through February of 2015. As with the indices, watch for a break out in either direction.